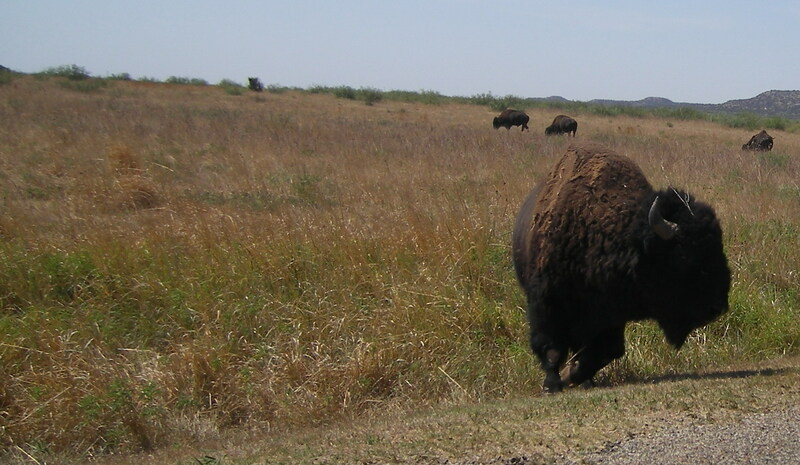 One of the best things about camping in Caprock Canyon are the buffalo. As a western writer (and just a writer in general and a human being enamored with history and culture) I love seeing these majestic animals. I think one of the biggest surprises is how small they are. Yes, small — compared to what I thought they would be. We have come to think of these creatures as large, gigantic animals. Now don’t get me wrong. They’re pretty good size. I’m just saying my expectations were that they were HUGE and they’re not. Then again, when you think about it, they are plains animals. That’s a pretty rugged ecosystem right there. You need a balance between size to maintain warmth (the heavy coat helps there) and ability to retain water. Okay, it’s not like they’re just cows, however. 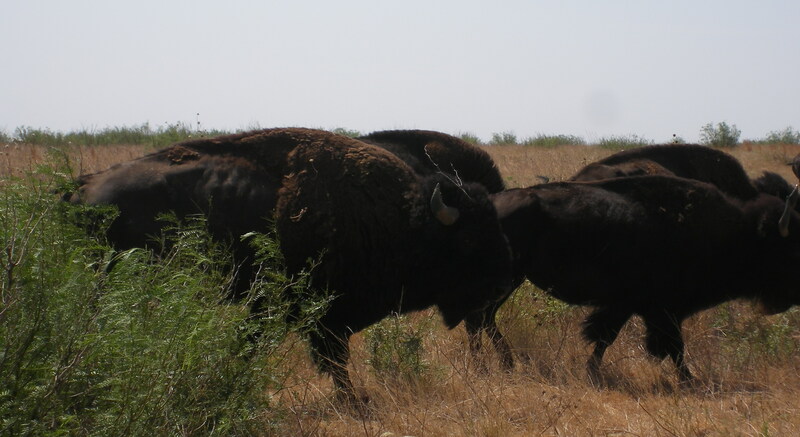 They are buffalo. When you see them you know exactly what you are looking at. I must be fair, however. They did have some bulls penned up. Those monsters were big. Then again they are full grown bulls. But I love watching these animals. I would have liked to followed them around all day with binoculars and watch them as they interact with one another and their environment. One of the coolest things that happened while I was camping there? 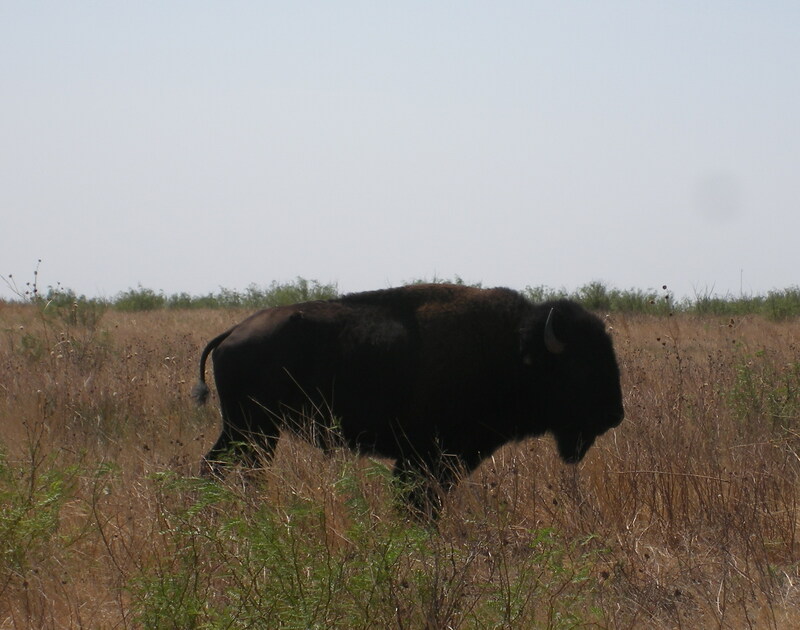 In the morning, while the world was still and the sun was edging up over the prairie and canyon rims, you could hear the buffalo moo and rumble (they make a deep guttural rumble in their throat or chest) and the noise carry through the air. It was probably the most mystical alarm clock I have ever awakened to. I almost get goose bumps now thinking about it. I Sold My Haxan Novel!